How about this for a campaign: We for Rhee! Washington DC public schools rank in the worst of our nation despite being potentially attended by our nation’s leader’s progeny. Of the 45,000 students in the district, how many do you think are the children of senators and representatives? 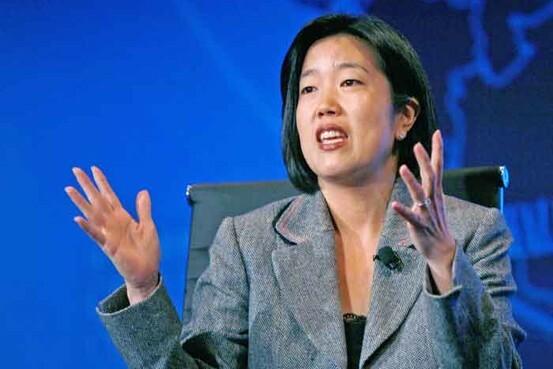 But never mind that, Michelle Rhee, chancellor of D.C. public schools is under serious fire from the American Federation of Teachers as well as her own local union shop. She had the audacity to layoff under-performing teachers and has since floated the idea of asking the teachers to walk away from their union contracts . . .
What union wants to see it’s members leave? What use is the union to its members if better performing teachers can get better pay without a union contract? 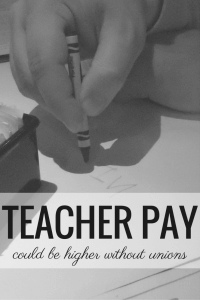 Highest performing first year teacher pay stands to go from $45,000/year to $78,000/year. Veterans can earn up to $131,000. That’s double what they can earn now. 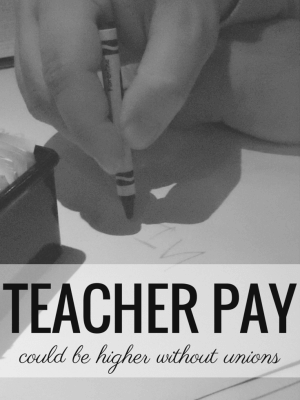 This proposal was put in front of teachers, those who prefer to stick with the union can opt-out of the bonus. The union can retain the members who care to retain membership. Teachers who believe in their ability can choose to optimize thier own pay. And no one is forced to go either way. Michelle Rhee is introducing CHOICE and personal responsibility – sound, basic economics – to the teacher pay discussion. Three cheers for Rhee. What a wonderful blog post about the truth in Education. Indeed, it is outside of our government’s purview to be encroaching upon education which the responsibility and liberty of the person and parents to pursue. Excellent points, as ever, Kate!